“You have an overtime lawsuit on your hands” is probably one of the scariest statements a business could ever hear! Believe it or not, overtime hours can become the basis of an expensive lawsuit if employers do not track employee time appropriately. Here’s what you should be asking yourself…Is your time keeping system robust enough to combat frivolous lawsuits? Do you have a thorough and secure documentation of your employee time entries? 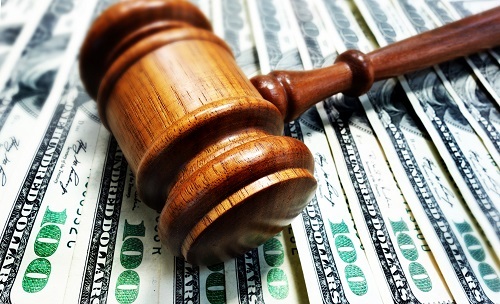 Overtime litigation is not solely for Fortune 500 companies. In recent years a Tampa, FL based sushi restaurant was forced to pay employees 54k in overtime back wages. And a Northern CA HR Services bureau was recently forced to pay 209k for a group of employees mis-classified as exempt. Employee communication is also key. Have you clearly documented your company overtime policy? Do employees have a clear resource for work hour and overtime questions? Have you distributed and reviewed your company handbook? Are time clocks easily accessible and have employees been properly trained on use? Have you established best practices to monitor and mitigate overtime occurrences within your workforce? Get a leg up on overtime claims by accurately and real-time capturing employee work hours. With an automated system you can regularly run “approaching overtime” reports. You can automate your time and attendance systems and migrate your data securely with a push of a button while being protected by Sierra Workforce Solutions’ world class time and attendance systems and time clock hardware. Our time and attendance solutions paired with our data integration software will take your worries out of being one of those unfortunate and unlucky businesses caught in the overtime lawsuit scramble! Federal class actions brought under the Fair Labor Standards Act (FLSA) outnumbered all other types of private class actions in employment-related cases. Particularly hard hit employers in California, Florida, Illinois, New Jersey, New York, Massachusetts, Pennsylvania and Texas. Did you know that the top 10 wage-and-hour labor class-action settlements in 2008 totaled $252.7 million? It’s easy to understand why overtime based lawsuits are all over the news today. This helps to highlight the importance of accurate time and attendance systems and time clocks. Already using an automated time and attendance system, but feel like you aren’t getting the information you need out of your data? Contact your provider and request an audit of your time tracking practices, additional training and a refresher course in pulling reports. In addition, a good time and attendance system should let you automate reporting so that you can have specifically configured reports run regularly and alerts for things such as “approaching overtime”. Don’t find yourself in the position of Starbucks or Levi Strauss, both hit with million dollar plus overtime settlement judgments. As a business stakeholder it is critical that you stay updated regarding the latest news about overtime rules and regulations by visiting the US Department of Labor website’s “wage and hours” division website. Here’s a helpful link: http://www.dol.gov/whd/. You can use this website to explore Federal overtime rules and jump to official state level informational websites.